To celebrate the release of Perchance to Dream, I’m interviewing some of the authors featured in the anthology. Today’s interview is with Jess R. Sutton! 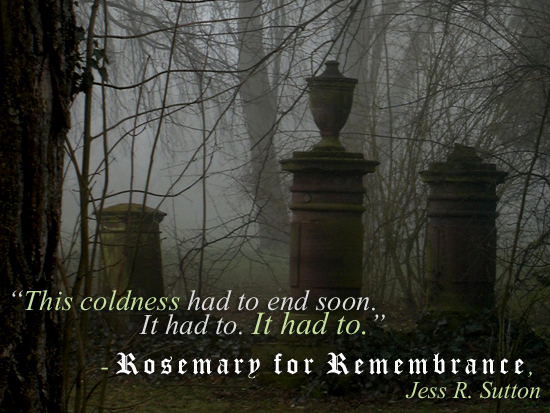 “Rosemary for Remembrance” is the story of Mel, a teenage girl mourning the unexpected death of her mother. Like any 16-year-old, she doesn’t know how to grieve yet, and her attempts to navigate the situation are clumsy and ultimately harmful. Even though she’s surrounded by a solid, ready-made support system—her girlfriend Lea, her best friend Hannah, her aunt and uncle—the sorrow is overwhelming, and much like Hamlet in the original play, she makes some questionable choices because of it. What drew you to the story of Hamlet? My first proper introduction to Hamlet—aside from Disney’s The Lion King, of course!—was in my 12th grade English class. We spent a lot of time dissecting story and theme, and it’s by far the Shakespeare play I know the best. It’s the concept of overwhelming grief that draws me most to Hamlet as a story worth knowing and adapting. To me, Hamlet has never been a character who “goes mad,” but rather who is inconsolable after the death of his father and who lacks a healthy outlet or a strong support system. I don’t have a good handle on death myself, and I wanted to write a character who was struggling in the way I do, trying to learn what healthy grieving looks like and being allowed to fail in the process. The ability to set the story in a modern-day city with casual magic was just a fun bonus. Do you have any writing inspirations you’d like to share with us? Thematically, Nancy Garden’s books, especially Annie on my Mind, have had a huge influence on me. I learned through her work that it’s okay to write queer characters, that our stories as women who love women are valuable and important. Other women, especially LGBTQ+ women, inspire me every day not just to write better, but to be better. My biggest inspiration for writing style is Shannon Hale, especially her Books of Bayern. I marvel at her command of language and the way she makes poetry out of prose, which is something I certainly haven’t mastered yet but am working on! “Rosemary for Remembrance” was your first published story. Do you have any other YA shorts or novels in the works? I’m not working on anything YA at the moment, although I am taking time to explore short story writing. Until recently, I had only worked on longer, novel-length projects that went nowhere because I wasn’t invested in the format; I felt like writing a novel was what I was supposed to do. Writing short stories has felt like coming home, and I’m excited about delving deeper into style and structure. I hope you enjoyed this interview with Jess R. Sutton! You can read their story, “Rosemary for Remembrance,” now in Perchance to Dream, which is available now on Amazon, Barnes & Noble, and other major retailers. If you’d like to connect with Jess, you can find them on Twitter at @queeralto. Note: This post has been updated to remove the author’s deadname.